Always go one size lower whether using a ring mandrel or my ring guide. 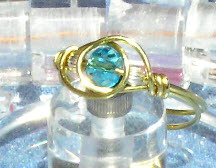 For example: for a size 7 ring, you will go one size smaller to the size 6 on the mandrel. Also, take bead size and how tight you wind the wire into consideration. Practice first if this is new for you. 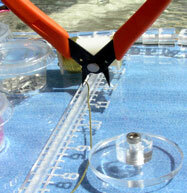 Step 1: Using flush cutters, cut a 12" length of wire.